The P1 boys and girls LOVE, LOVE, LOVE song and action, music and dance. Michelle and Miss McGuckin try to incorporate this love into many aspects of daily routine and learning. With an active little crew it is also a great way of expelling some of that additional energy in a more structured way. 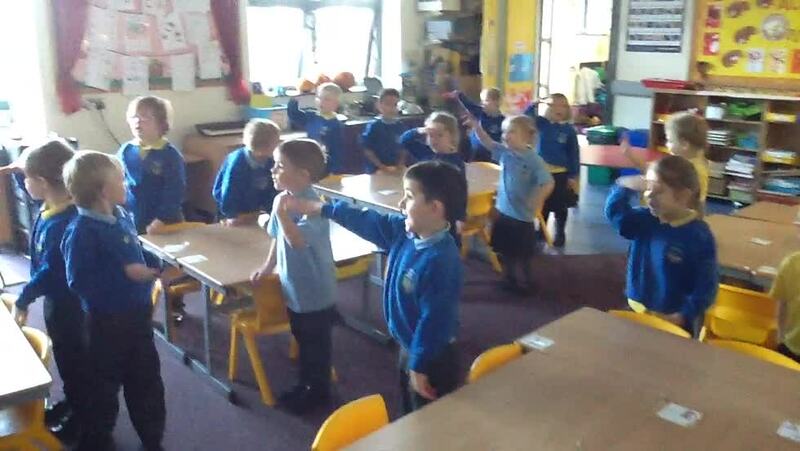 We have recently started to learn our actions to a song that we sometimes sing in assembly. We are so proud of the progress being made by this 'little army of the Lord'! Well done P1!